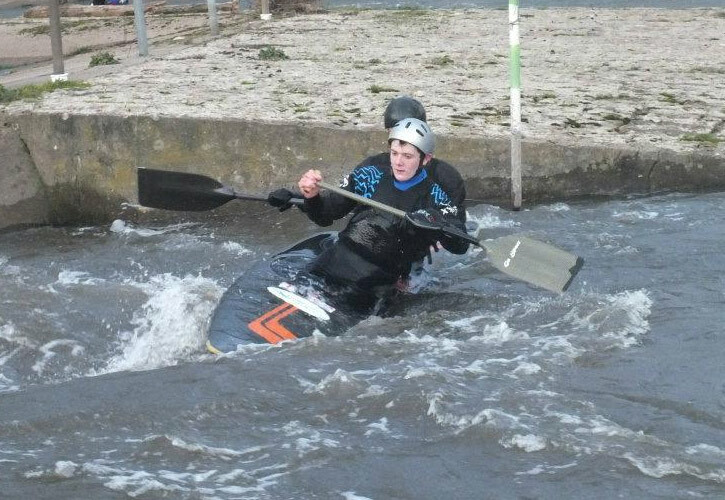 Mold Canoe Club has a strong slalom section with paddlers who do it for fun and with paddlers in the national leagues. In slalom that challenge is to get down a set the course in the quickest time possible whilst negociating a series of gates that give you penalties if you hit touch them. We run a series of very popular paddle slaom events during the year which are open for all ages and abilities. Please contact us if you have any questions about our slalom coaching and events. Also we have 4 members on the Welsh junior slalom program. 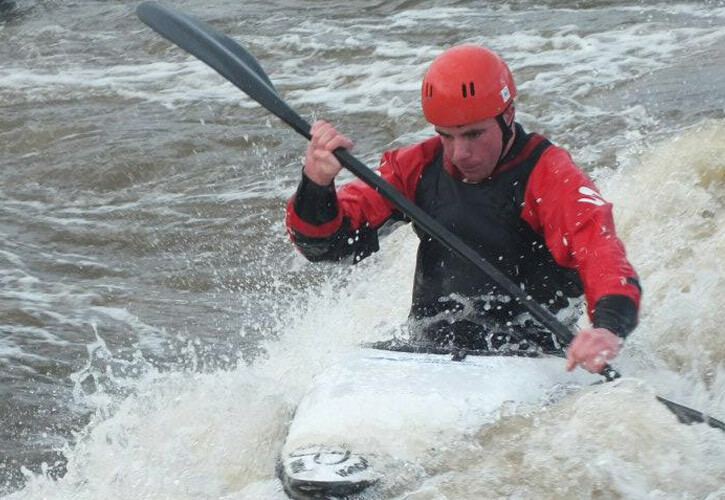 Div 2 and 3, with a short course Div 4 Bala Mill Slalom Event, River Tryweryn near Bala.